Absolutely stunning and gorgeous home. This home sits atop the hill with beautiful panoramic views in all directions. Remodeled top to bottom. Over 4,500 sq ft on each level, brand new spacious kitchen with granite counter tops and cherry cabinets. Huge vaulted living space with large picture windows, gorgeous theater room, & radiant in floor heat/cool throughout. Basement has a huge living space with 2 bedrooms, 2 baths, & a wet bar. Beautiful walnut wine cellar and humidor all on a walk-out basement; sitting on 2.11 Acres. 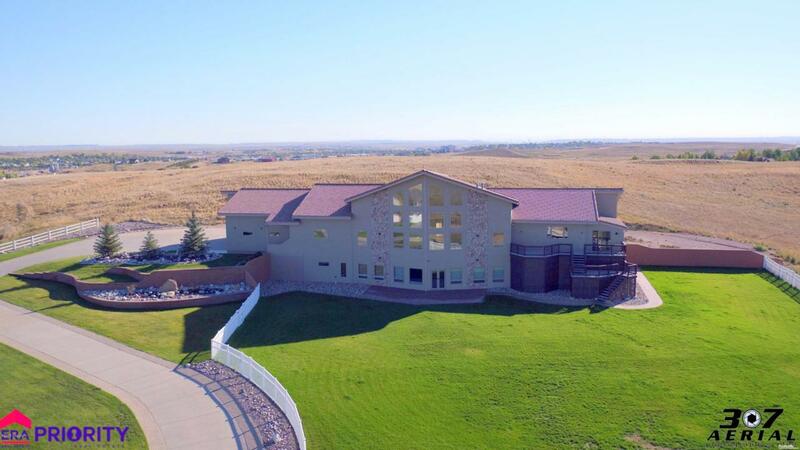 Call/Text Josh McGrath 307-680-5064 for a private showing or more information.